Reflect the weather in a living landscape. Is there a better alternative to YoWindow? Is YoWindow really the best app in Internet Utilities category? Will YoWindow work good on macOS 10.13.4? 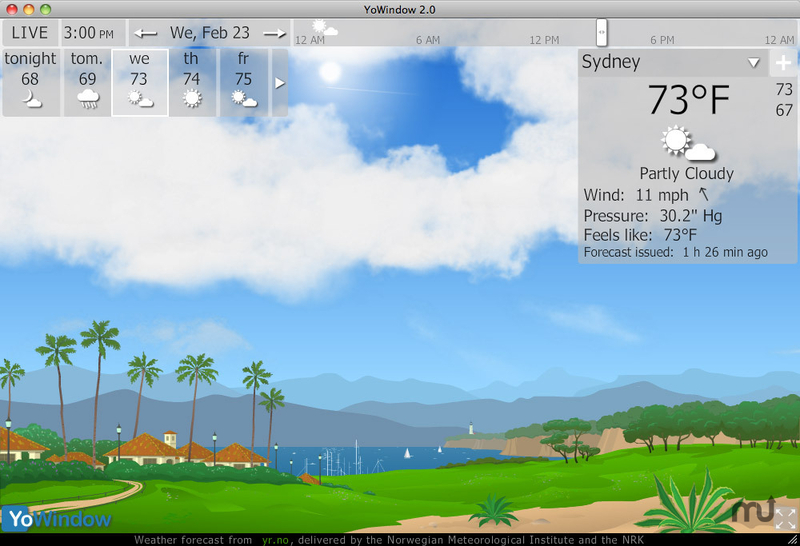 YoWindow is a free Weather Station. It can reflect the weather in a living landscape, like your window. That makes YoWindow special.